Reviewed Kenneth Turan / LA Times Rated G 87 Mins. 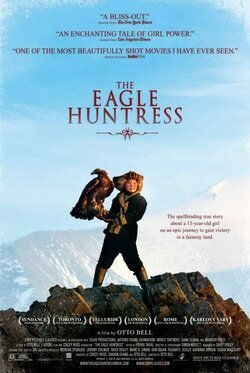 As unlikely as it is enchanting, "The Eagle Huntress" tells its documentary story with such sureness that falling under its sway is all but inevitable. 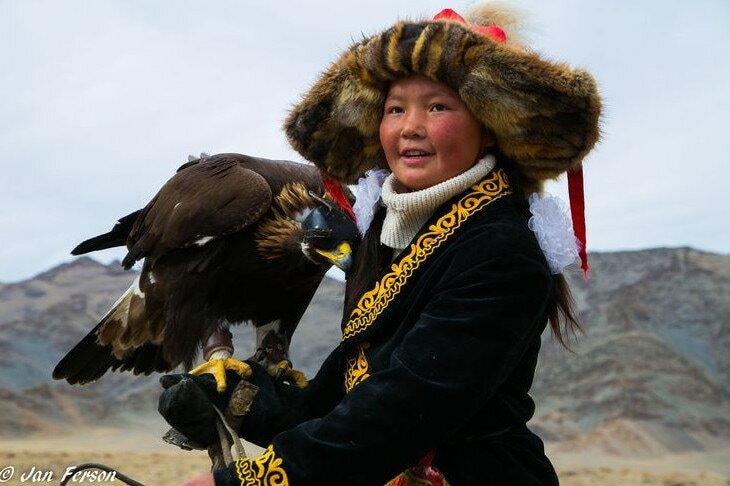 But when Aisholpan, a bold young person with an open, expressive face, told him she wanted to be trained as well in the ancient art of hunting foxes and other small animals with the massive birds, he did not hesitate to agree. "It's not a choice, it's a calling that has to be in your blood," someone says, and that is very true with her. Sundance, said, "it's not the end of the world, but you can see it from there."